In Honor of Charlie Tompkins Happy Birthday! Nicole and Bryan Kiper - Happy Birthday in Heaven! 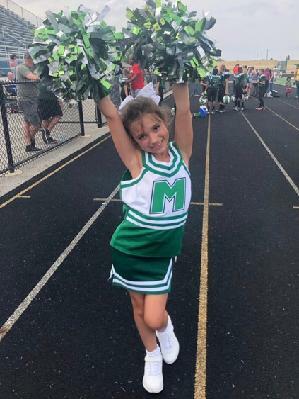 Olivia was only eight years old and like most of her friends, loved unicorns, rainbows, horses, cheerleading, her family and helping other children. She was a positive, joy-filled little girl, and we would love to honor her. That's where we would like your help! This precious young girl and her mother were recently murdered in our community, which was very shocking in our quiet town. Olivia always wanted to visit Disney World, so we have created this online campaign to raise funds in her name to fulfill wishes for other children. Our ambitious goal is to raise $150,000 to create a Make-A-Wish endowment that would grant wishes in perpetuity...meaning, FOREVER! Please help us make Olivia's dream a reality!